The processes described in this article apply to Legacy Chat users (Chat-only and integrated with Support). To determine which version you’re using, see Determining your Zendesk Chat account version. Chat Window, which includes the title bar text or mobile widget configurations, depending on your version of Chat. 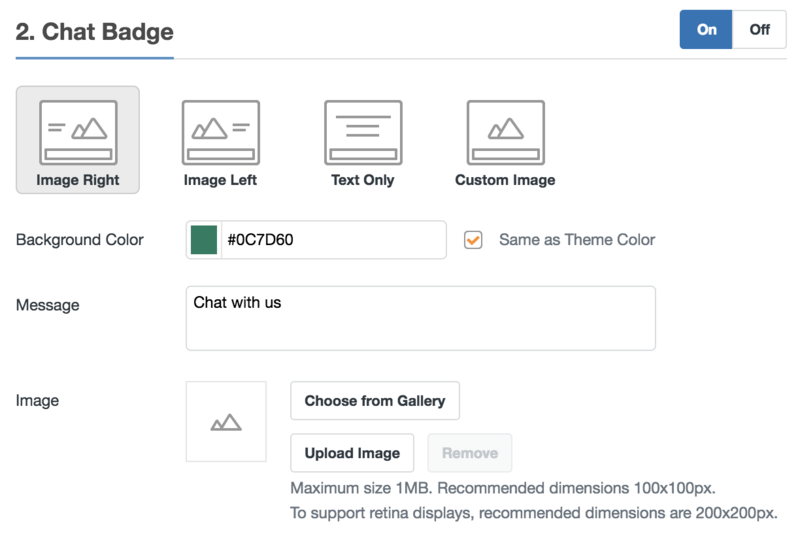 Legacy Zendesk Chat standalone users can also configure other elements of the main Chat widget here. Chat Badge or Chat Bubble (Legacy Zendesk Chat standalone only). 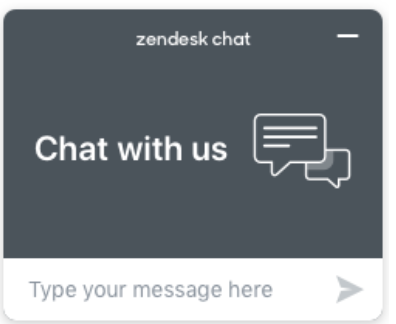 Minimized Chat Button (Legacy Zendesk Chat standalone only). Simple or Classic: With the Simple option, agent and visitor avatars appear. If you select Classic, only the text appears and you can further customize in the Chat Bubble section that appears below. Top Title: This text appears on the top of your chat window. The following example shows the top title with the text "chat support." Window Size:This option is available only for Team, Professional, and Enterprise plans. Select from Small, Medium, or Large. To see the size of the options, use the Preview pane on the right. 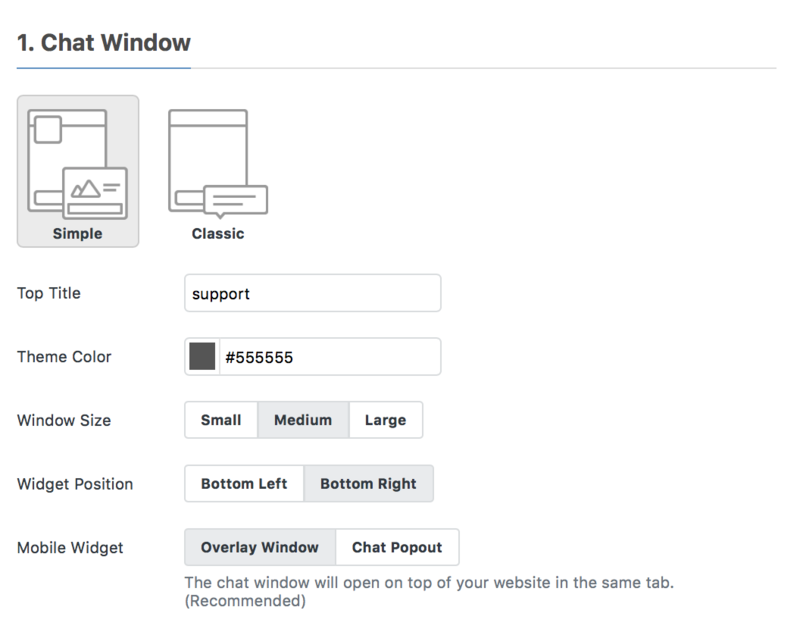 Overlay window: The chat window opens on top of your website in the same tab (recommended). On or Off: Enable or disable the chat bubble. Background Color: Select a color or enter a hex code for the background of the chat bubble. Title: This text appears as the title of the chat bubble. In the example above, the title is "Questions?" Text: This text appears in the chat bubble body. In the example above, the title is "Click here to chat with us." The options in this section determine the appearance of the Chat button when it is minimized. Online Message: This text appears when a visitor is chatting with an agent but has minimized the window. The following example shows the how the button looks with the text "Chat with us." Offline Message: This text appears when all agents are offline. The following example shows the how the offline button looks with the text "Leave a message."